1. WHAT MADE YOU DECIDE TO DO THE CHALLENGE? I am coming up to a significant birthday and having been over 100kg (always 108-110kg) for about 15 years, felt it was time to give it a proper go at getting into double figures and staying there! 2. HOW DID YOU FIND IT IN THE BEGINNING AND THE END? In the beginning I felt very dizzy and lightheaded, plus exceptionally grumpy. I wasn't great to be around! I found it easy to maintain the food menus and exercise but I dreamt about beer and whisky … A LOT! I found I lost a lot of weight in the first week then hit a plateau and it wasn’t until week 4 when I started to see the scales really change. It is worth sticking with it. 3. WHAT WAS THE MOST DIFFICULT AND EASIEST PART? The hardest part was going out with work and not being able to join in with a drink. The easiest part was the food, especially the fry-ups every morning! 4. WHAT DID YOU LEARN THAT SURPRISED YOU? How much sugar I take in on a normal day without realising. I haven’t been under 100kg since I was 25 and I feel so much better for it. 5. WHERE WILL YOU TAKE YOUR CLEAN & LEAN KNOWLEDGE FROM HERE? For me it's about having a better balance so keeping the Clean & Lean food options for most of the week with a couple of cheat meals. Food prep is also really important, as is always have Clean & Lean snacks in the fridge! "I have always had problems with my weight and my problem was a bit of both - laziness and weak willpower with food. I took various gym memberships but could never stick to them out of sheer boredom. 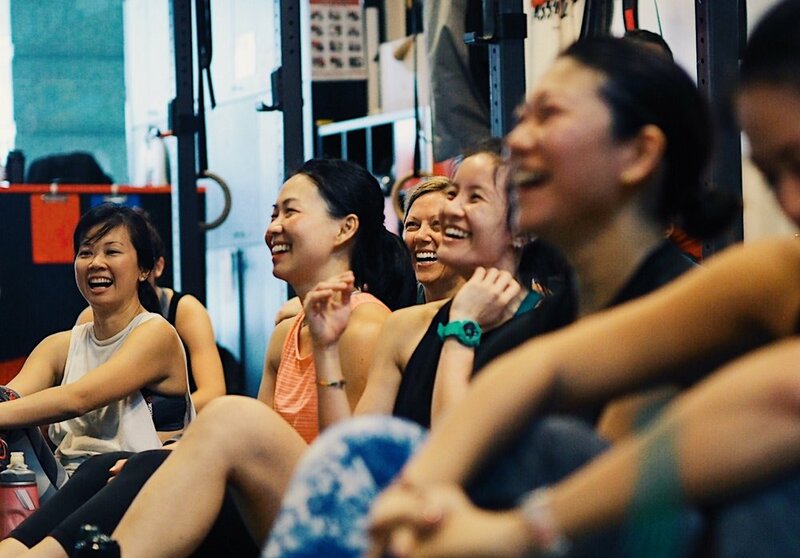 One day I attended a group fitness class and I was hooked. The music, the energy all around got me going and I didn't realise 1 hour was up. I joined that community and though I didn't do much about food intake, I did see some progress. And then last year in September 2016, we moved to Singapore and my entire schedule went hay-wire. We started eating out more and last month I realised I had gained 10 kgs. All the weight I had put off the year before that and some more. Finally I realised till I don't mend my relationship with food, whatever I do will always bounce back. UFIT's Clean & Lean challenge seemed like the perfect thing to join. It was a group thing + the competition part was really motivating + I knew I could do it if only I had the right knowledge and awareness about the food I consume. How did she find it? At the beginning, I was super-motivated. The thought that the first week we only have to consume greens was a little un-nerving but it wasn't so difficult. Thanks to the amazing options all over the CBD, I learnt to make similar salads at home for dinner. It wasn't as hard as I had expected. I felt lighter but felt a mix of highs and lows (energy wise). The Saturday sessions always made me look forward to the new additions in the plan and that's what kept me going. However, towards the end of the third week, somehow I started getting demotivated. Maybe I was expecting too much and started doubting myself. But I started cheating a little here and there. I wish I had stuck to my willpower and hadn't done that now. Even after C&L ended, I've been continuing with the same dinner options and I don't feel it's being forced on me. I enjoy having them which is the best thing for me. The most difficult part was the weekends. When you're meeting friends, being social and saying no to everything. I had started dreading weekends if we had plans with someone. Making sensible choices was easier compared to constantly saying no to persistent friends. I can't seem to decide the easiest part of the challenge. I had started enjoying salads and dining outside, choosing the right places / foods to eat even when outside became easier and easier. Grocery shopping became easier and faster because you end up skipping most of the rows and only end up at the veggies / meat and frozen sections. I was always a little aware about how harmful sugar is for our body but that knowledge was only limited to processed foods. The Saturday sessions were an eye-opener. The biggest thing that I learnt was that even a clean diet like C&L gives you so many food and flavour options that you actually can't get tired of it. I'm looking forward to eating the C&L way and making the right choices if eating outside. It all comes down to decision-making and I feel the last 4 weeks have given me a lot of knowledge and particularly the result has given me that belief that I just have to keep working hard in this direction to reach the fitness level I want to be in. I'll be focusing on making those right decisions. It's not to late to get into great shape for the forthcoming Silly Season!! The next UFIT Clean & Lean Challenge is running 28 October to 25 November - just in time for Christmas. 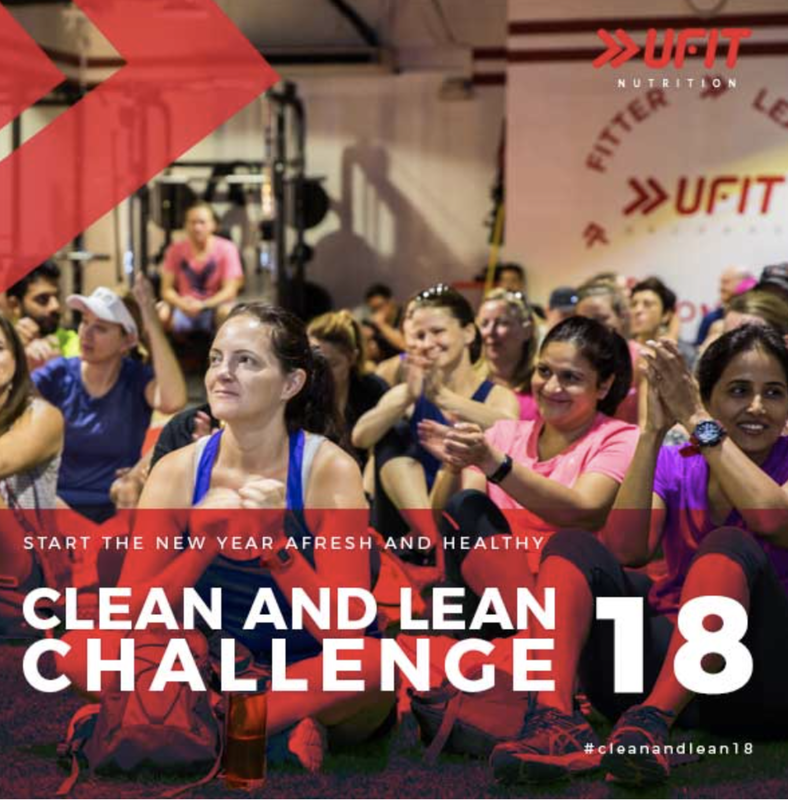 Finish off your 2017 with a bang and sign up now here for Clean & Lean 17 !! "It’s been a great 4 weeks! The before and after photos are unbelievable! Really don't want to go back there, especially as I thought I was in OK shape before!! Told you I was competitive …"
The hardest part was going out with work and not being able to join in with a drink. The easiest part was the food, especially the fry-ups every morning! 1. 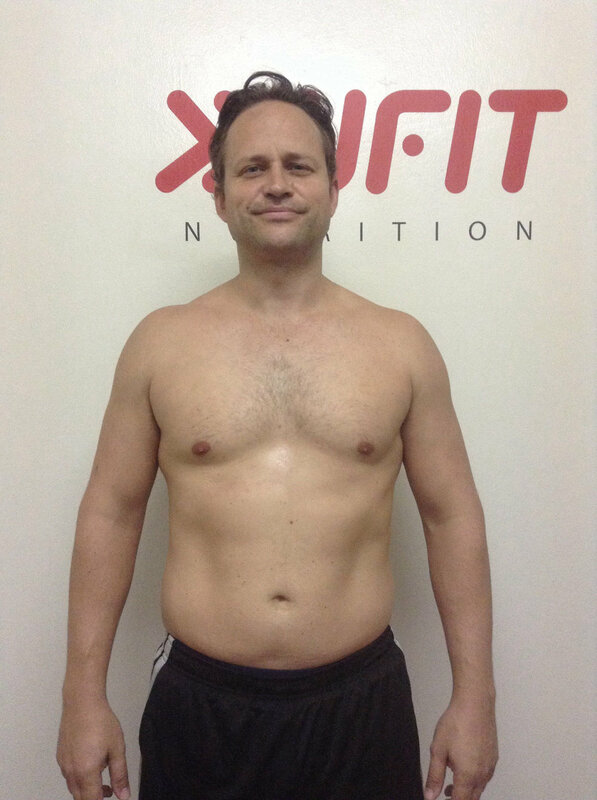 How often have you done UFIT Clean & Lean and how were the results? I have done UFIT Clean & Lean four times. The first time I did it by myself and twice I did it with Scott. We both got great results each time. I think Scott saw the results and what a benefit it was for me after the first time so he wanted to know what it would do for him. He eats less sugar than me and was very surprised by what he learnt. 2. Why do it again after learning the principles the first time? I loved the way I felt and what I learned the first time so I did it again and learnt even more. The truth is it's hard for me to take sugar out completely forever. I'm human and the bad habits creep back in, a holiday comes around or you have a party to go to, and sugar is addictive after all. But I like to reset, and to learn more. Each time I have done it I have taken something else from it and been educated more. Sometimes you think you are making a healthy choice purely by the way a product is advertised, I think this was the biggest thing I learnt. I thought I was being quite healthy but when you really strip it back you are surprised. 3. How has it been doing it with your husband - and balancing with a social life and three little kids? You get so much support from Wendy, Noa and everyone else through the Facebook page but having Scott do it with me really helped. We saw the changes in each other and enjoyed exercising together. 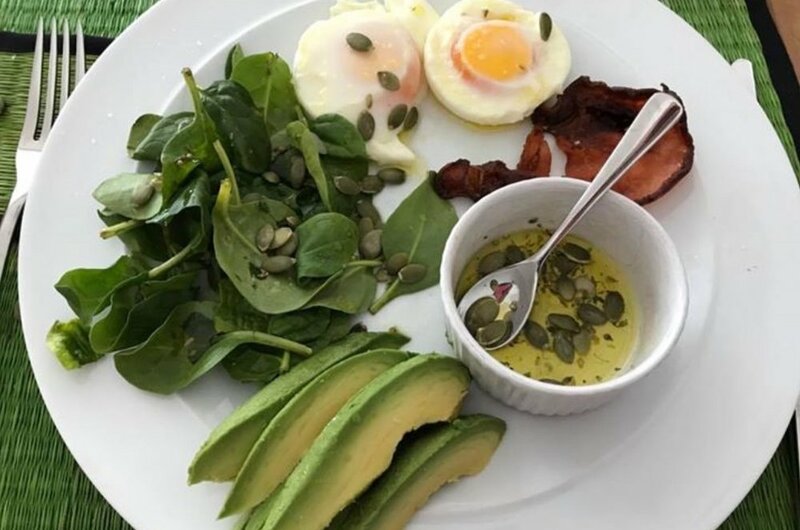 It's had only has a positive effect on our family, having three kids can be a challenge at dinner time, that's never going to change but if I can get them to try a new thing and its healthy and they like it then that's fab. My oldest daughter now prefers Shepherd's pie with cauliflower mash instead of potato. My son enjoys coming to Bootcamp with me. We have had lots of little changes from doing Clean & Lean. I learnt if you plan your meals it makes it easier and you make better choices. 4. What pushed you through when it all felt a bit challenging? The main thing that pushed me through the four weeks was what I learnt each week. The community also pushes you through, it makes you accountable. Wendy and Noa help you through each week, they have done it / are doing it themselves and have all the answers you need to get through it. 5. Apart from looking great, how did your body feel during and after the Challenge? For me, I saw so many changes. 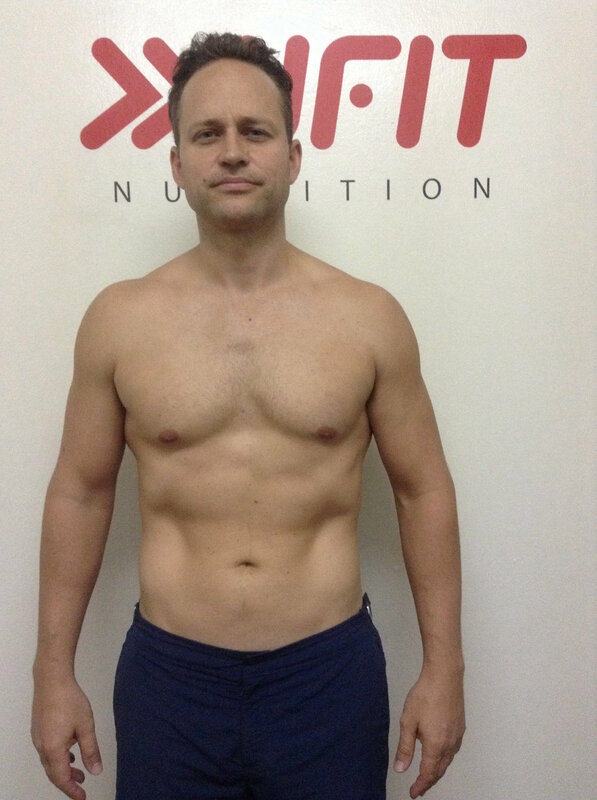 At the beginning I'm not gonna lie, it's hard to see what sugar does to you, but as the time goes on and you see the benefits, actually very quickly you see changes. Other people see changes too. My energy levels improved, my skin was nice, my moods were more stable and then there are the changes you see in your clothes, they fit better, even get too big. These are just a few things but there are so many more. 6. Has it been manageable to continue with it after the Challenge? UFIT Clean & Lean has helped me live a much healthier lifestyle. I have also found a love of excercise I didn't know I had. I have taken the things I learned going forward to make better choices. 7. Would you do it again and why? I will do UFIT Clean & Lean again I'm sure. The easy part for me is the four weeks, It's the part after I find harder. That's my challenge and always will be, but now at least I have the knowledge to be able to make the right choices. 8. Scott - do you have anything to add? No - Sheri's said it all! But I would add just one thing - I don't feel right when I'm not on Clean & Lean. 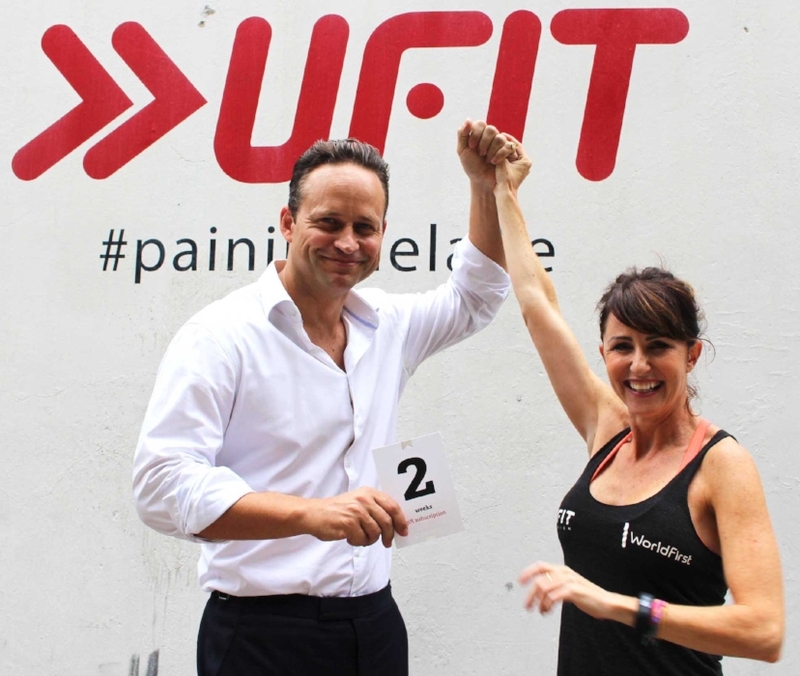 Join us at the next UFIT Clean & Lean Challenge that starts on 26 August! Evy Theunis lost 6.73% body fat in the UFIT Clean & Lean Challenge 15 - and was the female runner-up in the Challenge. Not only has Evy shown great commitment with her nutrition, she supplements that with regular personal training. Her UFIT Personal Trainer, Lizzie Wright shares "Evy is such an amazing person to train. She always brings so much energy to her sessions and gives 100% which helps her achieve her goals. She's one determined cookie!" What made you sign up for THE UFIT Clean & Lean CHALLENGE? I started my Clean and Lean journey 3.5 years ago when I met my PT, Sara. Sara helped me lose 20kg and through pregnancy as well and I managed to get back to my pre-pregnancy weight. 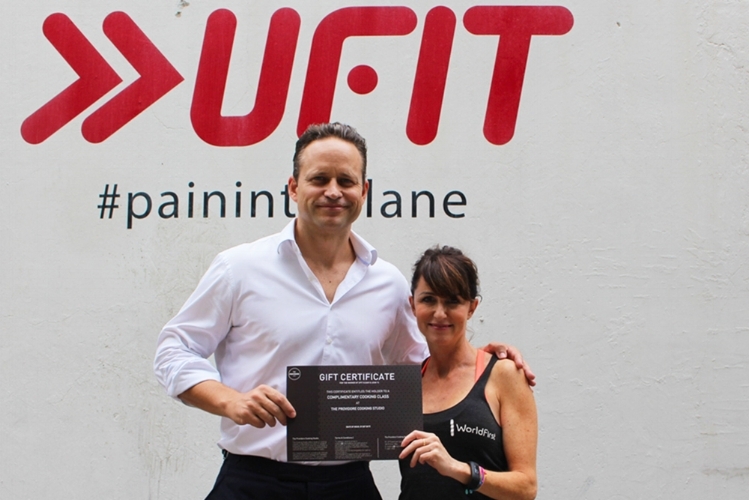 I learned about UFIT during my pregnancy as I had to recover from achilles tendonitis, when UFIT Clinic's Declan Halpin had me back on the road to recovery. One thing I find very hard is to completely stay off sugar, and I noticed that bananas had started becoming a routine, and that lately one cheat day had become 3 or even 4 cheat days. My scale and wardrobe weren’t liking this very much, so I decided to do the UFIT Clean and Lean Challenge. I was SOOOO hungry! I ate so much the second day, as if there was no end to it, without much effect. Luckily after 4 days or so it went much better. I realised how much sugar I must have been eating, and it actually made me feel very happy that I was doing this. Did you sign up with a friend or by yourself? On my own, but I got a lot of help from our helper Monica, who was so kind to cook more snacks and try out new recipes. Also Lizzie Wright, my UFIT Personal Trainer, Sara and my husband were cheering me on. How have you felt each week? In general, my body felt much more “relaxed”. Also, I didn’t really feel tired or weak, so that was good! Week 2 and week 4 went very well, week 3 was hard as I was having PMS. I wanted to eat cake so badly! Thank god for the chia pudding. When I learned that “Singapore Chili Crab” dressing from Salad Stop wasn’t that bad, all was good again. Something so little made such a difference. I am quite OK to eat similar food (or the same :-)) every day, so once I decided on what I was going to eat, it went smoothly. To do this long term, I think it is very important to just keep things simple, and accept what you can and what you can’t have, at least not every day. In the past, I would have gone all the way, bought every health food on the planet and thought that that would set me up for success. Not true. Now, I just adjust the regular recipes to a compliant version. Eg. my version of “taco” is minced meat, taco herbs, capsicum, onions and corn, served with lettuce and spicy mayo. Just no wrap. And I don’t try to desperately replicate a wrap. If I really want a wrap, I’ll have it on my junk day. Speaking of which, I confess, I did do a cheat meal once every week. I had my son’s birthday party, and had drinks with my friends and team. I never exaggerated, but I noticed that a total break isn’t sustainable mentally for me. So instead of “oh no I fell from the bandwagon, I am a total failure”, I just did it once a week, without feeling bad about it. Congratulations, you made it to the end of the four weeks how do you feel now? I feel back on track. Apart from eating better, I also trained harder. What was the biggest surprise after the four weeks? The amount of fat I lost! I watched the scale go down and my body feeling tighter but I in no way thought it would be that much. When I commit to something, I commit to it, simple. Absolutely, for 2 reasons: my knowledge about food increased. I really appreciate that! Secondly, it was easier to stay focused as you’re not the only one doing it. Wendy Riddell, UFIT's Head of Nutrition adds: "We are very proud of Evy's drive, determination and consistency which will get you up to the winning line every time. Well done Evy, and well done to all our Clean & Leaners for working together and getting great results!". The next UFIT CLEAN & LEAN CHALLENGE STARTS 26 AUGUST. sign up now for some cleansing, healthy eating and a great community supporting you along the way!